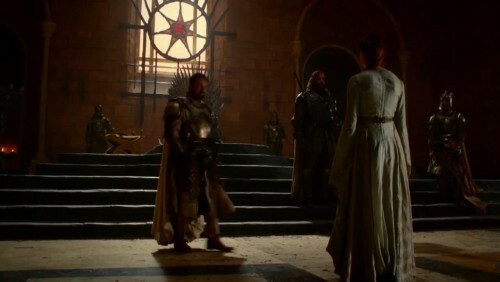 Ser Meryn, Sansa, and the Hound again. Notice the seat next to the Iron Throne (which Meryn is obscuring), which is Cersei’s place. This was shown last season.